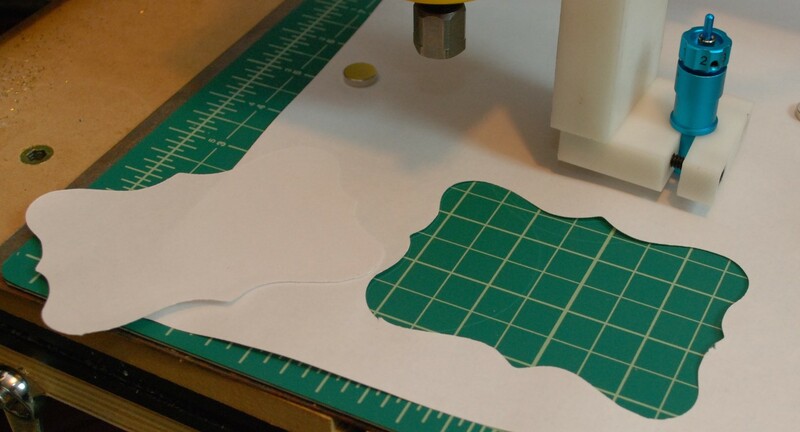 I have been trying to adapt a swivel cutter to my Shapeoko for months. Not constantly, but I have been making lots of little attempts. Swivel cutters enable you to easily cut small thin materials with CNC regularity and precision. Paper, plastic and foam sheets, stickers, and hopefully leather. I started by trying to chuck the swivel cutter directly into my spindle. The spindle spins fairly freely on its own, and is already well attached to my Z-axis. Most of that previous statement turned out to be true. The spinning part wasn’t good enough as it turns out. The blade didn’t rotate, it just grabbed. The cutter has a wide flat head where the blade sticks out. This helps keep the material stuck down and should prevent puckering. Also, the blade spins much more freely in the cutter than in the spindle. So ditch that idea, I really have to hold this thing somehow. Time to build a support. I went through a few iterations of holders till I came up with this version. I wouldn’t call it perfect, but I think this will keep me going for a while. 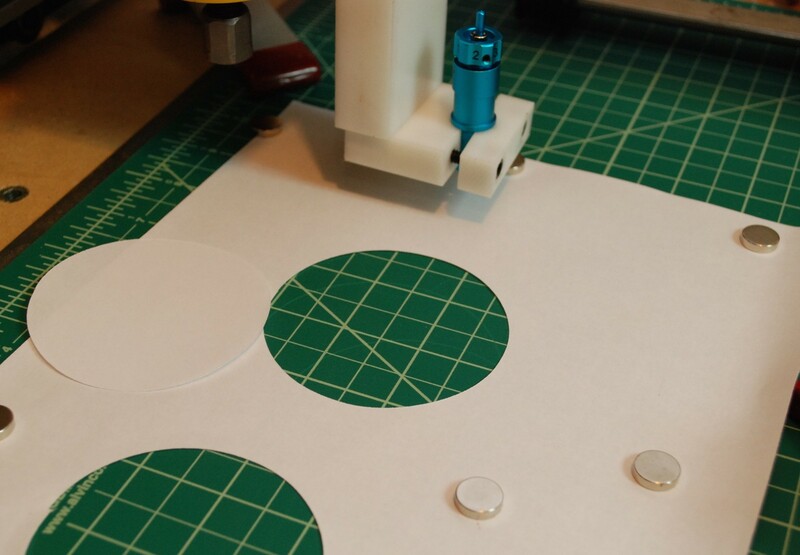 The “square” cutout does a great job of holding the round cricut head once I saw cut it in half. I machined 1/2″ delrin to hold the cricut head and attach to a 3/4″ down bar. All the screws were #10-24s with a counterbore. it made for a cleaner look and keeps the screw heads from interfering with anything. I attached it to my shapeoko Z-head using two tapped screws into the aluminum bracket that holds my spindle, and two wood screws into the wood version of that bracket I made. Attaching it to the side lets me keep the spindle in place. Four screws to add or remove any time I want to use the swivel cutter. 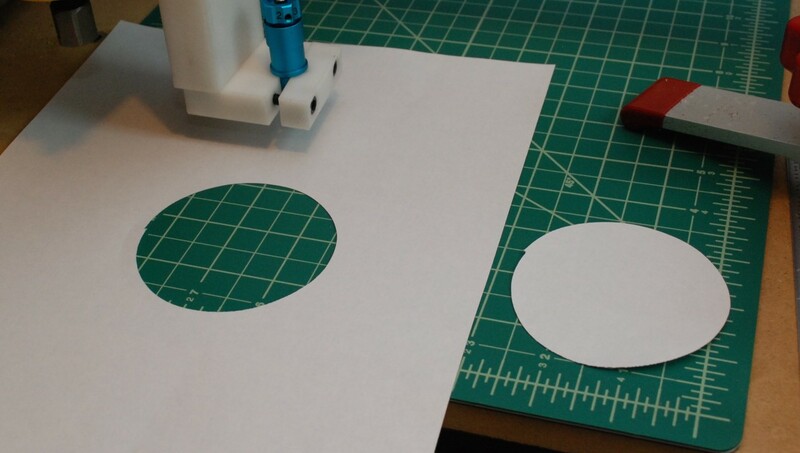 Once everything was attached I made a simple circle with the follow patch operation from maker cam. It cut well, but I held everything by hand. My fingers slipped a little and the circle had a zag in the side of it. The blade works well, but the clamp doesn’t. Time to use the little grey cells! I found a big 16gauge plate of metal, and stuck it under my cutting mat. Magnets did a good job of holding the paper while keeping a low profile. Now that is a pretty decent looking circle. I like it, lets move on to something more complicated and see if the swivel cutter can keep up. If you search “fancy rectangles” you get a lot of great results. Another small tear where the magnets didn’t hold well enough. I am getting some monster half inch ones on order. Until then my clamping is going to be a little dodgy. I used the same pattern to cut out some fancy rectangles from a sheet of vinyl chalkboard material. Now I can make custom labeling stickers for anything I want. Paper CHECK! Vinyl stickers CHECK! I was feeling confident and went on to leather cutting. It didn’t turn out well. 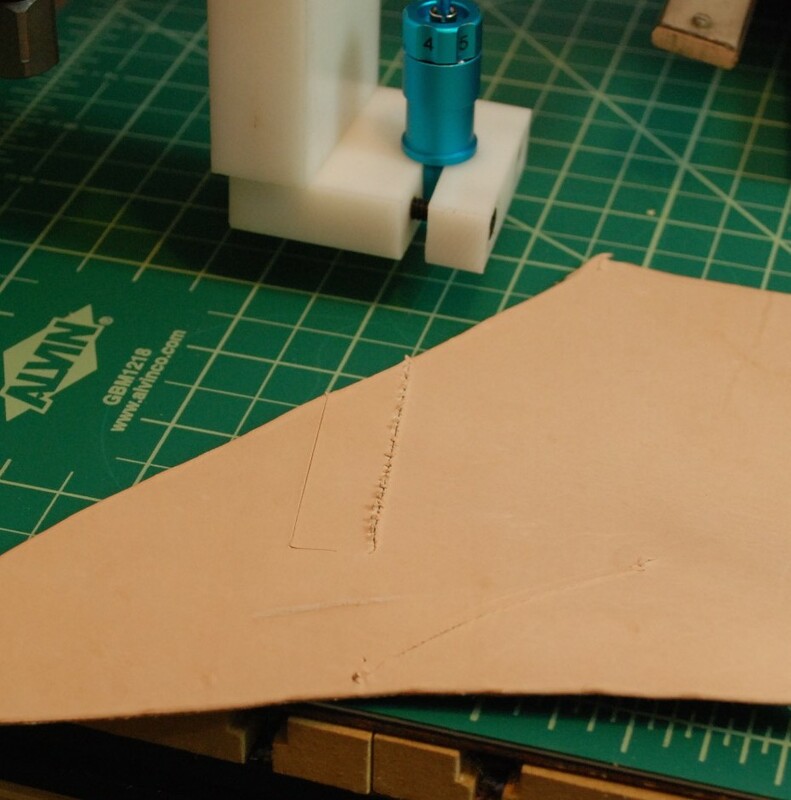 The blade can protrude far enough to get through the leather, but my Shapeoko lacks the power to drag it through. Trying to do multiple passes didn’t work out well either. The machine lifted after each pass and tried pulling the blade out. The blade is only held in with a small magnet, so any pulling force will pluck it out. The leather gripped it well enough to partially remove the blade. When it tried to move the blade was stuck and it ended up breaking the tip off. My best results scored the leather but did not cut through. 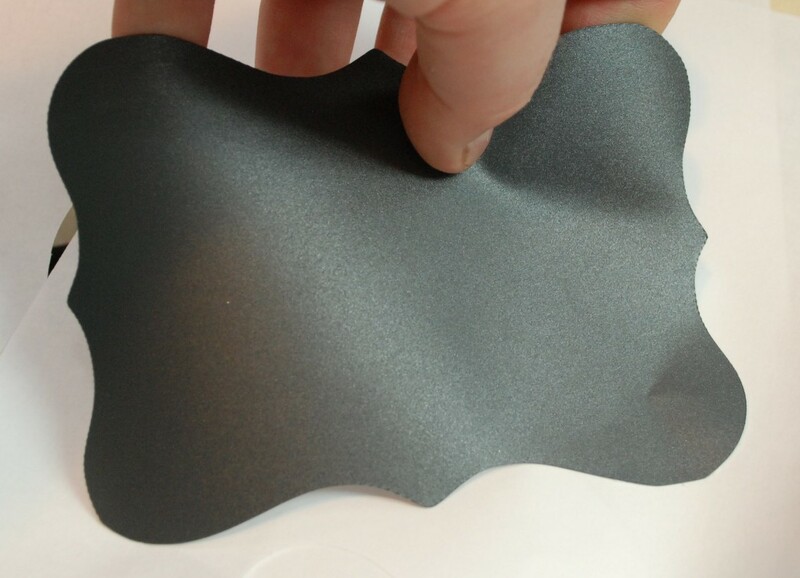 I will order more blades and try again, but it doesn’t look good for leather. A little time off from work means a little time to spend on another home renovation. Lets hit the laundry room! First, the before. We pulled the doors off and all the contents out. There was no flooring in here when we bought the house. In removing the door to the garage I found an interesting discovery. There were two funny patched holes in the top of the door case. Removing all the case I found part of two broken off drill bits. In some distant past, the security system installers had a difficult day! With “demo” done I went to work prepping the floor and tiling. The first day was rough. I got delayed and didn’t do prep on the previous day as I had intended. Thankfully my wonderful wife emptied all the shelves before I got started. More bad luck struck when the bag of mortar ran out sooner than I thought it would. Not a great start, but at least I got most of the tiling done on day 1. Ok, day one had some snags, but day two should be more straight forward. I ran to pickup the mortar, and found out they were out of grout. I had half a bag left over from the font room, but not enough to finish. That will involve a long trip to an alternate lowes. Still, I was able to finish up the remaining tile at a reasonable hour. The rest of the day I broke out all my doors and molding for a big paint off. Doing latex with an hvlp gun is a little touch and go. Every time I mix a new batch of paint, the settings change. I am really a hack at it, but the results are still a lot better and faster than rolling. At least it would be faster if I hadn’t put too much down, and then had to deal with Florida’s wonderful 80% humidity winter. The metal door took hours to dry and ended up having a lot of runs. I stopped what I could with a brush and tried to even things out. In the end I had to bring it into the garage, hours later, still wet. I had to roller paint the casings after I installed them anyways, so it got a touchup with that job. End of day 2 was not a complete disaster, but I spent a lot of time monkeying with wet paint and driving beachside to get grout. Go go go it is time to grout! I cleaned up the floor and mixed up a few batches of grout. It is a messy job, and you have to clean the tiles 100 times to get the haze off. Still though, I love grouting. In just a few swipes of the sponge you can making everything look right with the world. All the madness of renovation settles down into calm (mostly) even lines of beautiful grout. While I waited for grout, there were a number of other things around the house that needed attention. 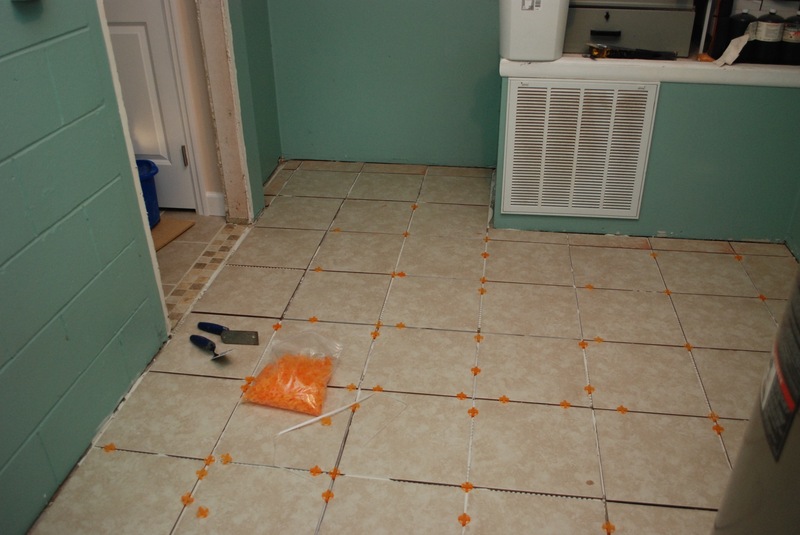 Later in the day I braved some walking on the tile to install the two casings. It is kind of astonishing how twisted and out of square a house can be and still look ok to the casual observer. I guess that is why we have shims! The final count down. It is Christmas eve, and I HAVE to finish today. This is the last of my days allotted to home renovation. Let the molding begin! I did a very basic baseboard molding around all the places you would normally see. No sense in buying another piece to install behind a dryer. There wasn’t anything before, so this adds a nice touch. Both the doors had their molding installed and everything got caulked and touched up. Getting molding to all fit right and have the nail holes filled properly is really tedious but worth the effort. I was done, stick a fork in me!!! After a brief foray to see family we had some time to put everything back together. Newly installed adjustable wire shelving offers more storage than before and makes it feel more open. The lighter flooring helps too. I could have painted it a brighter color, but the walls were mostly in good shape, and I kind of like the color it started as. No renovation will change the fact that it is a small room in a house with not quite enough closet space. Still, I am really happy with the results. The soreness and smashed fingers will pass in days, but the laundry room will last for years. It is a frost 70-something degrees outside and all is right with the world. 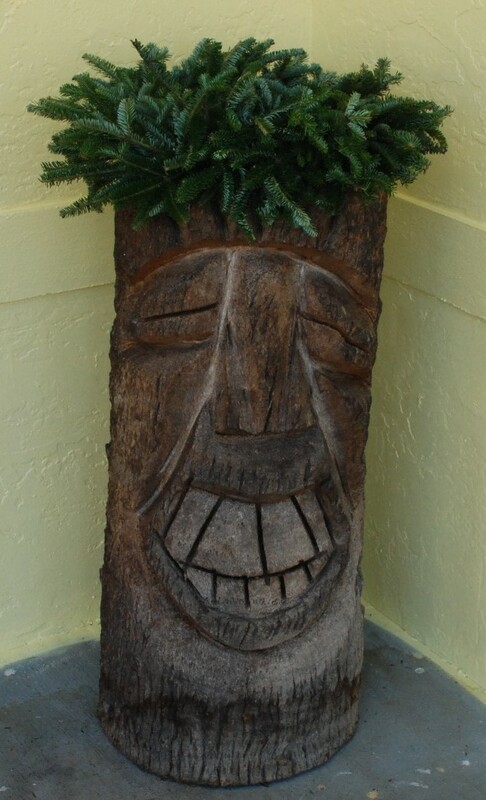 May my festive Christmas tiki bring you warm tidings and good cheers. Another great gift ideas came from a previous post. 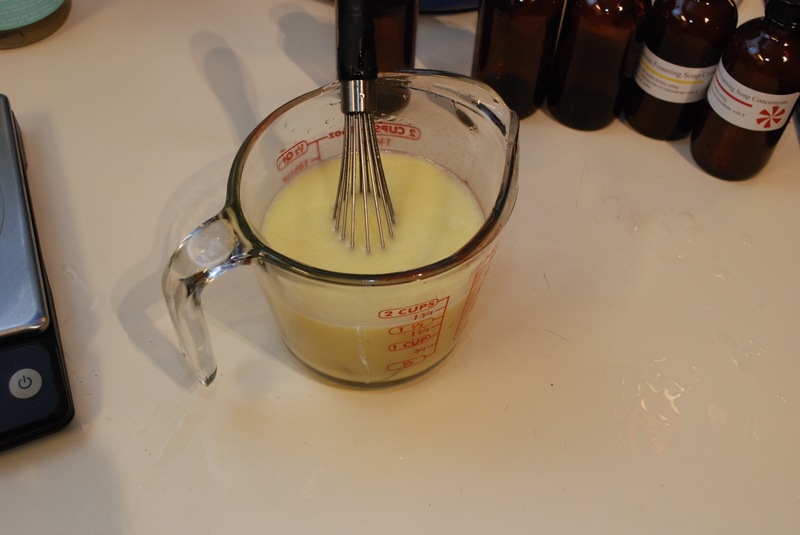 Instead of doing a single batch of foaming hand soap at a time, you could make lots of the concentrate. It is barely any more work than doing one at a time, and you can give them away as gifts! Instead of using measuring spoons I went with weight. The ratio of volume is 6 to 1 soap to oil, so I went with a similar ratio (messed up a little in the pour pictured below) to give me a bit over 12 ounces. I figured this would translate into about 12 fluid ounces and will fill three 4 ounce boston round bottles. Once you have those two in mix the ingredients well with a whisk. It should come out looking something like this. Now is a good time to add any essential oils for fragrance. I didn’t measure, but rather added by smell. Looking at the bottles it ended up in the half teaspoon range of essential oil used per 12 ounce soap batch. I made a festive peppermint, a sweet smelling lime, and a nice lemony version. They were all pretty well received with lemon going the fastest. A smart little label lets you know which is which and gives instructions on it’s use. 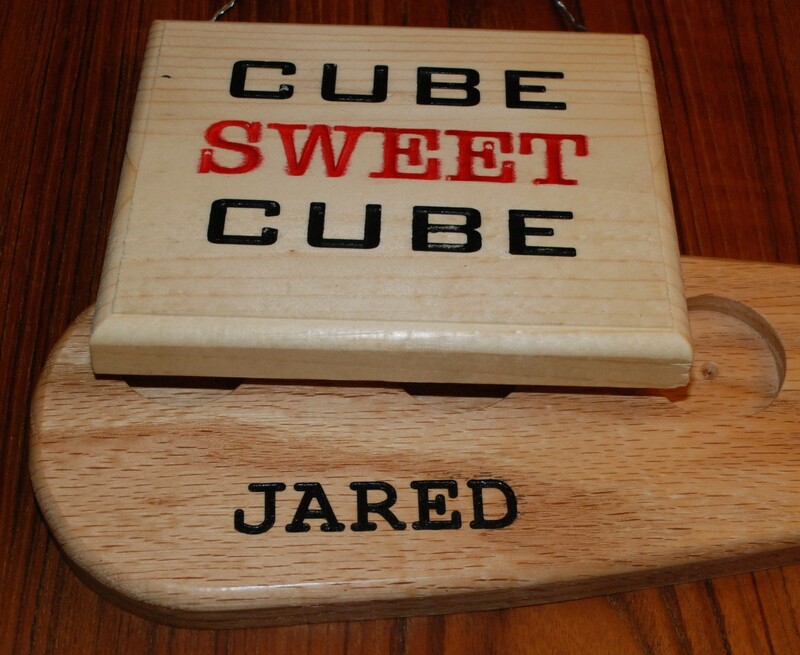 Cheap and easy to make, it is another wonderful gift idea for the holidays. You can purchase empty foaming hand soap bottles by the dozen for a few bucks a piece if you want to hand them out. Vanilla extract is ubiquitous in baking and the good stuff is always pretty expensive. Before I started blogging I began a batch of vanilla extract back in August. The instructions said to let it sit for 4-6 months. I had enough to make two batches, so one is getting popped open now for christmas gifts and the other gets to wait another month or two for maximum vanillattude. I got all my information from Vanilla Review. They have a good recipe and more details on vanilla beans than you shake a stick at! The quick version is to mix 1oz of beans per 8oz of vodka. Cut up the beans nice and small; splitting them is even better! Put it all in a jar, and wait 4-6 months. Shake occasionally. While I spent maybe an hour total to start these, then bottle them, it doesn’t quite qualify as a “quick” gift idea. Still, get them started now, bottle over the summer, and they will last forever! A cute label helps the gift go a long ways. Giving your baker friends vanilla extract means more cookies for you! What a deliciously devious gift.